Adern Vowel modules are on the AllPass page. 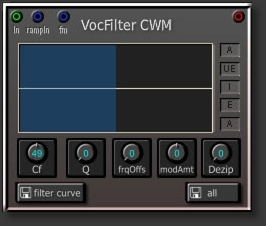 special feature: time control over filter freq/vowel. ramp module like Flexor ramp or SyncStation has to be connected. two preset lists: just freq curve and freq curve + all parameters.